Last year on Memorial Day Weekend I was in the Neuro-ICU recovering from brain cancer surgery. 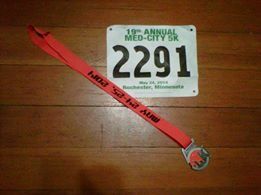 1 year later, I finished the Med-City Half-Marathon in 2:52 and the 5-K, the 2 Day Challenge, to celebrate 1 year as a cancer survivor. I like to thank all those people who made this finish possible. In the past couple of months I have been busy, so busy that I have not made time for posts on this blog. 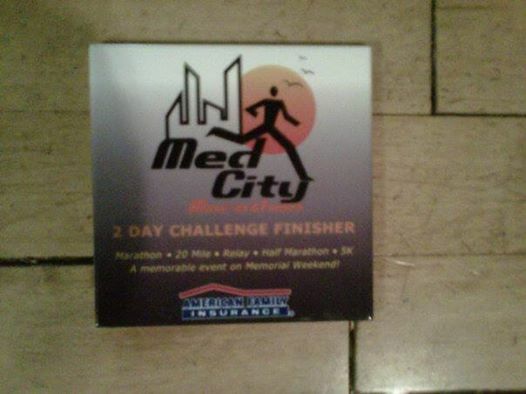 My original plans were to finish the Med-City Marathon but in April I decided to switch to the half-marathon. 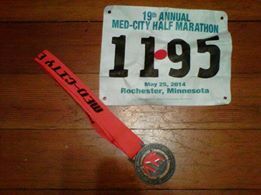 This was a good decision, because I finished strong, enjoyed the perfect day, and was able to walk after the race. I wore brain tumor awareness shirts for both events and dressed in gray for both events for brain tumor awareness. My training included weekly long “runs” with the longest duration of training 3 hours and the longest distance of straight run/walk a 15K. I was able even with less than 5 minutes of rest between some events. The only reason I walked home with medals was I was either the only swimmer or there were only 1-2 other swimmers that were better than me. 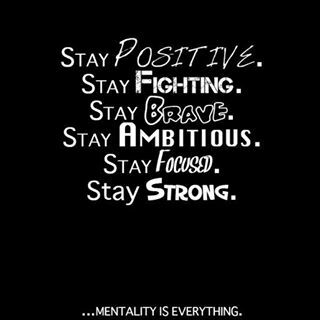 Now with my first triathlon of 2014 less than 1 week away, I feel fitter, faster, stronger, and lighter than I have in recent years. In the race next weekend, I am going to leave nothing left at the finish. There is another event less than 1 week away, my 1 year MRI. Yes, I am a little nervous, but who wouldn’t be. I am praying everything turns out fine. The truth is after a long year, I finally got my energy back, working longer shifts at work, and getting work done in my yard. Last weekend I went to my second annual Cancer Survivors Day event. I have been blessed, to meet all the cancer survivors I have met in this past year and by all that I have learned in the past year that has changed my views of cancer and life.